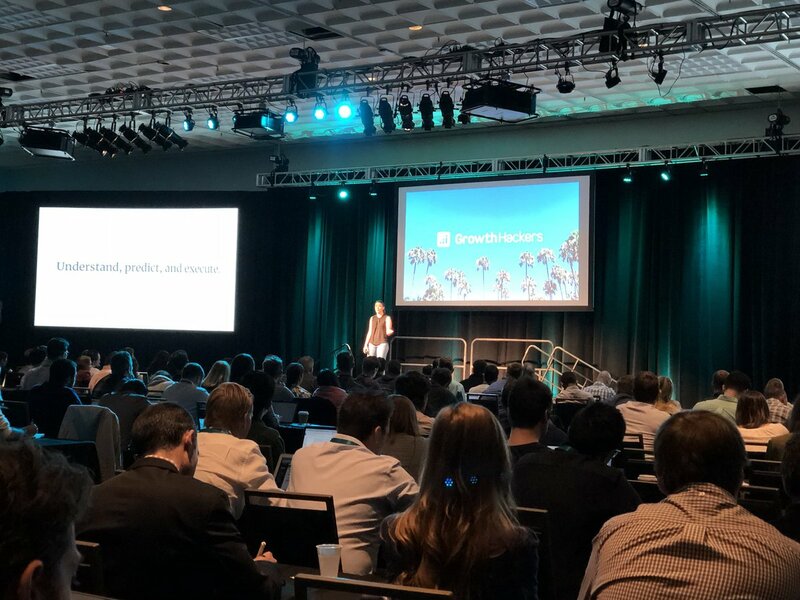 The GrowthHackers conference is a full day event for companies or people that are looking to push the boundaries of growth innovation. These range from growth-stage startups (Series B and C funded) to large public corporations. Some large companies that have embraced growth hacking include Wal-Mart, IBM, and Microsoft, who recognize that their stock prices are driven by customer and revenue growth and want to tap into the potential that the growth hacking process has delivered for their upstart competitors. At this conference, attendees will learn what is required to develop a high-performance growthteam and program across the disciplines of product, design, and marketing. Our great lineup of speakers will share their first-hand knowledge and experience gained from growing some of today's fastest growing companies. Hosted by Sean Ellis and the GrowthHackers Team. The GrowthHackers Conference is a full day of learning and networking with the top growth experts from around the globe. Tickets for the GrowthHackers Conference are non-refundable. If you would like to transfer your ticket to someone else, email conference@growthhackers.com . Speaker line-up subject to change.